Even if you consider yourself a foodie, there's a chance you still might not have been exposed to much cuisine inspired by the culture of Utah's own Native American communities. On Thursday, Nov. 16, from 6-9 p.m., the Natural History Museum of Utah hosts Utah Diné Bikéyah's Indigenous Dinner. The nonprofit organization—which supports the indigenous communities and lands of the Bears Ears area—is launching a Traditional Foods Program. The innagural event features creations by chefs Brian Yazzie (Navajo Nation) and Vern Defoe (Lake Superior Chippewa). The evening's program also includes a fund-raising silent auction of Native artist items and donations by local restaurants, plus performances by local Native American artists. Individual tickets are $100 per person, available at bit.ly/2ypbRSi. As much as American Thanksgiving is associated with roasted turkey, there are plenty of meat-free ways to get into the holiday spirit. The Friendly Food Truck Family gathers eight participating food trucks—Falafel Tree, Poutine Your Mouth, The Salty Pineapple, Mama Lau's, Pyromaniacs Pizza, Gerlach's, Spud on a Stick and Udder Joy—for Vegan Food Truck Thanksgiving on Saturday, Nov. 18, from noon-6 p.m. at 327 E. 300 South. Enjoy your 100 percent plant-based items, with proceeds benefitting Rescue Rovers pet adoptions. Find more info at bit.ly/2zdMMJb. In case the fun interactive exhibits aren't enough of an incentive to get your kids excited about a trip to Discovery Gateway, how about some free pizza? On Saturday, Nov. 10, during four individual time slots—11 a.m., noon, 2 p.m. and 3 p.m.—Discovery Gateway and California Pizza Kitchen team up for a California Pizza Kitchen Pizza Party. Attendees get a chance to create their own personal pizza from a variety of fresh ingredients as part of a program that also includes information about healthy dietary choices. The event is free with museum admission, but space is limited; sign up at the front desk upon arrival on Nov. 10 to reserve a spot during one of the sessions. 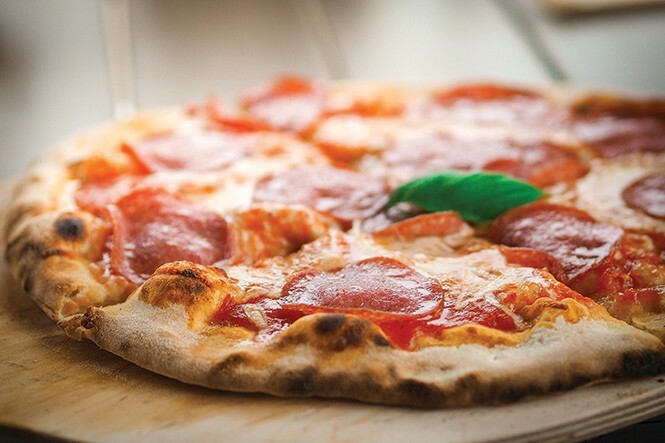 Quote of the Week: "You can't go wrong with pizza—unless it's terrible pizza."